The Nike Free FlyKnit+ combines Nike’s previous trainers, the FlyKnit and the Nike Free; “the second-skin fit of FlyKnit construction and ultimate flexibility of Nike Free”. The Free FlyKnit is designed to promote a more natural ride when running. 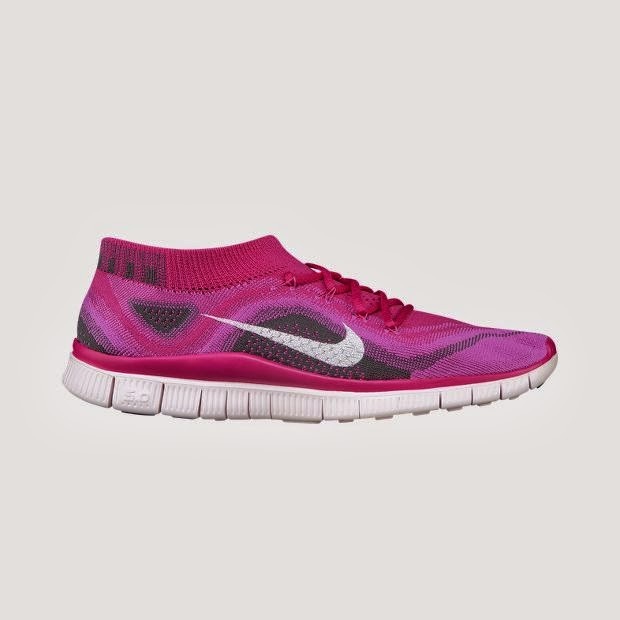 It is part of Nike Free, designed to allow your feet to move more freely in comparison to other more stable running shoes and to get the muscles of you leg working a bit more harder. the trainer itself is very flexible; you can actually roll it up! 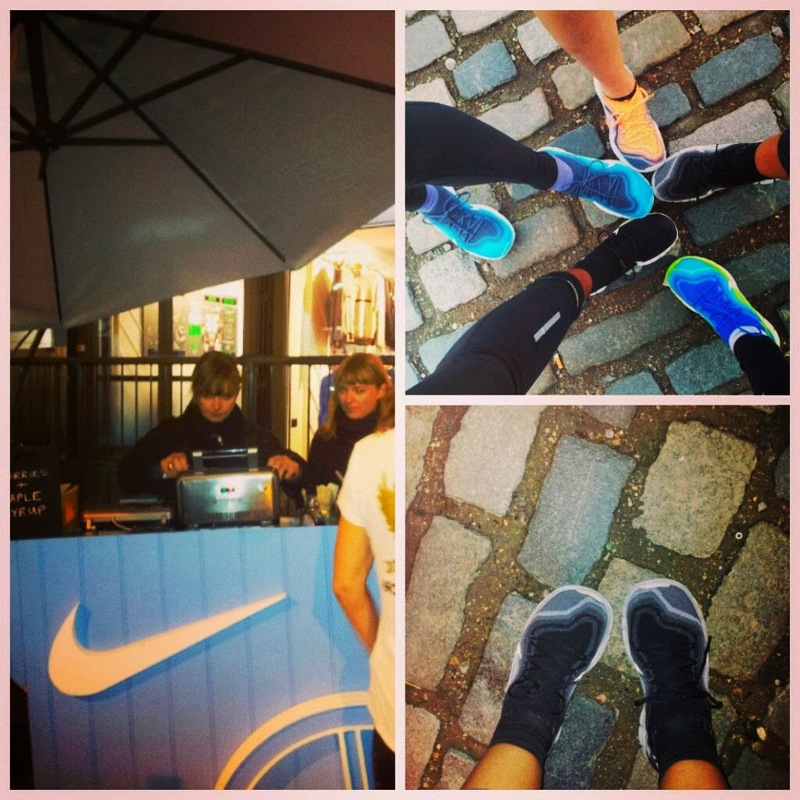 Me, my friends and other fellow runners met at the Nike shop in BoxPark, Shoreditch. We ran from Shoreditch to the Southbank and back. The run was hosted by Nike and combined the Stratford Run Club and BoxPark Run Club. I already use the Nike Free range for my workouts and I am used to the flexibility of the trainers; I feel that they have great improved my training and drills such as burpees and squats. Despite all the stopping and starting during the run (the roads of the City of London are busy, mental and dangerous – safety is paramount when running), I did not take pics of my running route; which was a shame because the views of London over Tower and London Bridges are impressive. We ended the run with coconut water and freshly made waffles – yummy! The Free FlyKnit is light, but is created in such a way to feel like a sock/second skin, so when you first put it on your feet do feel compressed. I found it to be a snug fit – I was wearing a size 7. When I was actually running, it actually felt a bit too snug for my right big toe. It just kept rubbing and even though I was wearing my anti-blister socks, I was concerned that a blister might form…..
Apart from this, running in the trainers was actually good. I slightly over-pronate (this means that when I run I tend to roll on the outside of my feet slightly) and therefore need stable trainers when running. The Free FlyKnit+ was a mostly comfortable ride and I would be confident in running up to 7km in these trainers. The Free FlyKnit+ come in neutral and vibrant colours and you can customise them via Nike ID. My main negative point? At £130 they are not cheap! With Nike continuously and rapidly bringing out new running shoes (when I was trying out the Free FlyKnit=, they were getting ready to release the Nike Free HyperFeel – on sale now), I’m unsure whether this is an investment or a trend. After all, it was only earlier this year that Nike released their first FlyKnit trainers. Running in the Free FlyKnit+ did make me more confident in running in my Nike Free Fit 2 training shoes, which I mostly use for my NTC Classes. Maybe if the Free FlyKnit+ dropped in price as new innovations come out, I may consider purchasing a pair.